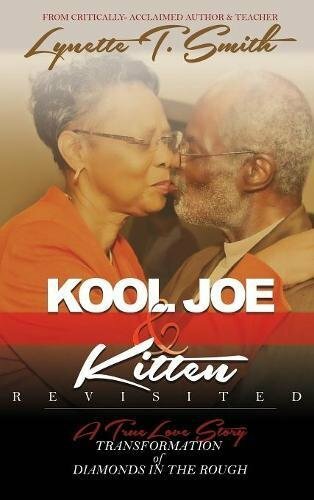 “Kool Joe & Kitten Revisited,” written by Lynette T. Smith (a/k/a “Kitten”) spent 63 years of her life with “Kool Joe.” They met as children, and spent their early years coming and going from each other’s lives. Growing up in the segregated South in the 1940s and 1950s, they often struggled to overcome obstacles placed in their path, many of these challenges brought on by the personal choices they each made. When the two reach a point where they decide to spend their lives together, it is not easy. Joe’s upbringing didn’t prepare him to be a husband or a father. Lynette had to work through his addictions and frequent disappearing acts. In spite of this, they loved each other. As time passes, Lynette continues to move forward with a career and pursuing higher education. She accepts Joe as he is and welcomes his loving hugs when he offers them. As they go through marital issues, Lynette does not place all of the blame on Joe. While telling her story, Lynette reflects back on ways that she might have contributed to the problems. Her reflections and heartfelt suggestions will be helpful to those who preparing for marriage. When someone with a great deal of experience shares hindsight into their own lives, I think it is critical for the reader or listener to pay close attention. Family members of the author will find their story particularly interesting and gain a great deal of insight into their relationship. Hopefully, they will also recognize that Lynette’s pursuit of higher education which culminates in a PhD is an exceptional achievement. No matter what struggles she had, she kept pushing forward to accomplish this goal. “Kool Joe and Kitten Revisited” by Lynette T. Smith is a touching reflection of the love story shared by Lynette and Joe. Their story is not a work of fiction where there is drama in the beginning and then everything ends perfectly. A lot of work had to go into their relationship so that they could finish it in peace. Truly they were diamonds in the rough that under pressure, turned into beautiful gems.